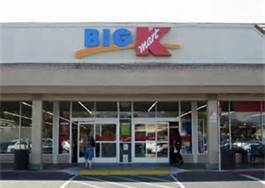 The Kmart store in Puyallup, WA will be closing mid November, but the liquidation sale starts today August 25th 2013. There are apparently many reasons that the store is closing, but at the top of the list is that they are cutting costs (locations) that aren’t making their quota and have decided not to renew the lease here. The Puyallup store, located at 621 River Road. This entry was posted in Uncategorized, WA, WA and tagged august 25th 2013, closing, Kmart, kmart store, liquidation sale, puyallup wa, store closing, WA. Bookmark the permalink.